A cluster of marvellous wonders! Step into the magical land of Maldives where turquoise waters of white beaches kiss your feet and rejuvenate you to the hilt, where colourful coral reefs leave you gape in awe, where rich marine life is a wonder, where people greet you with a smile as cheerful as a flower, where you cant’s imagine the views being any more perfect. 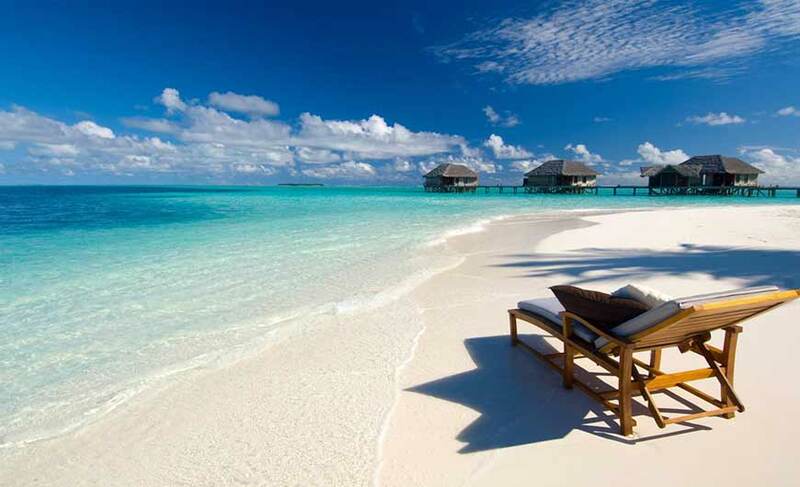 Maldives is a wonderland where natural beauty and fascinating attractions are found in plenty. Its exceptional underwater scenery and squeaky clean water make it a paradise for holidaymakers who come here from all over the world. It is an island nation located in the Indian Ocean-Arabian Sea area, comprising of a chain of 26 coral atolls. Within the 26 atolls there are around 1200 islands and out of these only 200 are inhabited and around 100 are resorts. The islands are not more than 6 feet above sea level. Male is the capital of Maldives. Located in Utheemu in the north of Maldives, Utheemu Ganduvaru was once the abode of Sultan Mohamed Thankurufaan, one of the heroes of Maldives who saved the people from the Portuguese conquerors. 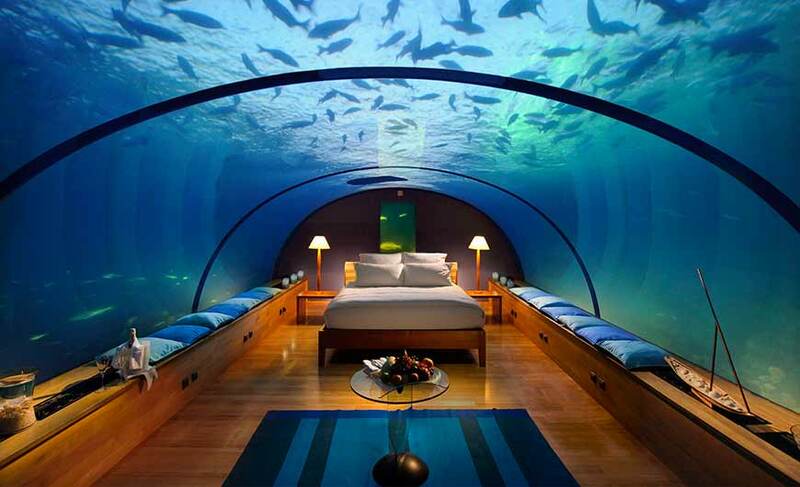 This serene resort is one of the best reef houses in the Maldives PADI Dive Center. Here you can enjoy a interesting water sports like snorkeling, diving etc. The area consists of more than 35 diving spots. 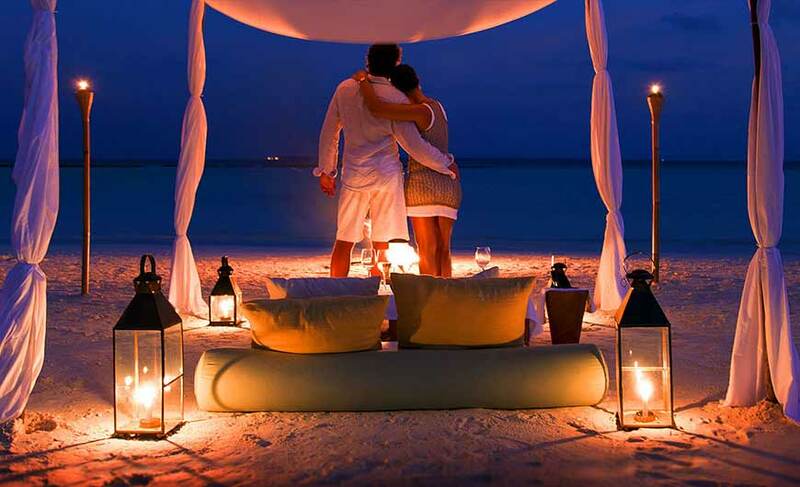 You can also simply relax in its beautiful environment. Also known as the Old Friday Mosque, Hukuru Miskiiy is the oldest mosque in the country. Its architecture is wonderful and flawlessly reflects in its coral stone walls with carvings of several kinds of patterns and Arabic scripts. 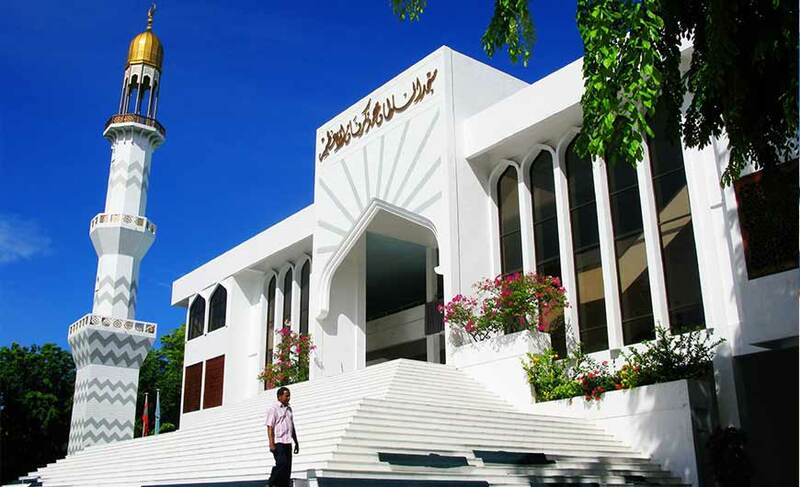 The tombs of the sultans, heroes and nobles of Maldives are also located within its complex. Located at Sultan Park in Male, the museum displays a rich collection of historical artifacts of Maldives. 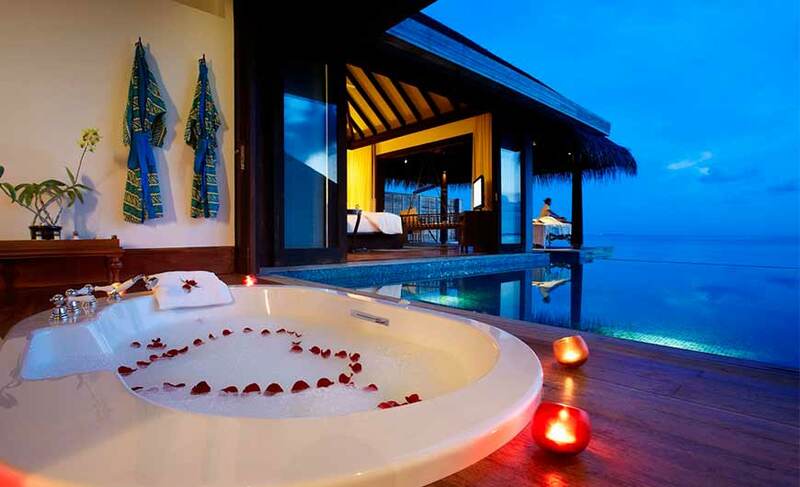 Located in Male, the palace is a perfect blend of grandeur of local tradition and modernity. The best way to explore the mesmerizing islands of Maldives is through a cruise boat. It also gives you an opportunity to enjoy diving at some of the best sites in Maldives. There are many water sports centers in Maldives where you can indulge in water sports and other adventure activities like surfing, snorkeling, sailing, windsurfing, kayaking, jet skiing, parasailing, kite boarding, etc. Scuba diving is the most famous adventure activity which every tourist must indulge in. Maldives is renowned the world over for its wide and rich variety of flora and fauna, thousands of reefs, hundreds of species of corals etc. It is a paradise for diving. There are many dive centers equipped with modern facilities and qualified dive instructors. Explore the arresting coral reef formations and colourful fish underwater at HP Reef. It is a great diving site. Located at North Male Atoll, it’s a marine protected area. Visit Banana Reef which is another fabulous diving site with the shape of a banana. Here you can find Napoleon Wrasse, Moray Eels and the rare Bannerfish. Manta Point is a diving area known for a large number of manta rays being fed and cleaned by wrasses. 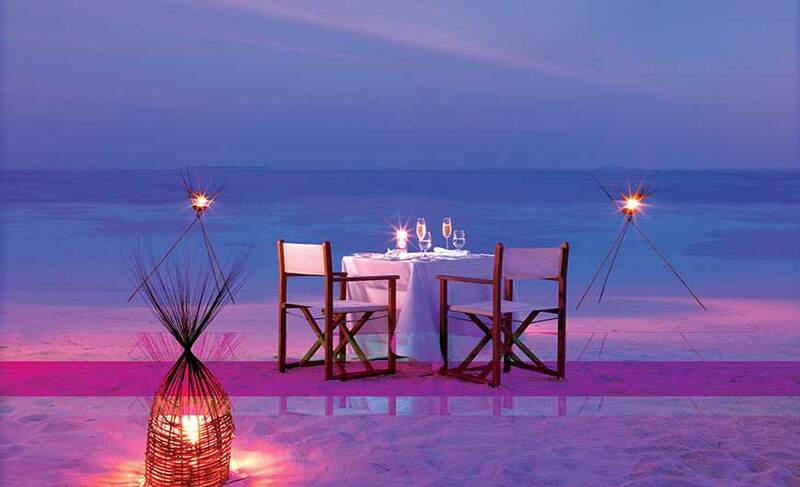 The culture of Maldives is influenced by South Indian, Sinhalese and Arab culture. Majority of the population is Muslim. Bodu Beru is the most famous music and dance of the country. The craftsman are highly skilled in calligraphy work, weaving and crafting. The cuisine of Malvies majorly consists of fish, mostly tuna. They liberally use spices and coconut but less of vegetables. The traditional meal usually consists of rice, fish broth and side dishes of lime, chilli and onions. Curries are one of the major parts of the meals. Explore the markets of Maldives for amazing handicrafts like mats, wooden boxes, containers, ornamental objects, wooden flower vases, decorations made out of seashells, lacquer ware, miniatures etc. Male International Airport located in the Hulhule Island in Maldives is well connected to the major cities of South East Asia such as Delhi, Sri Lanka, Kuala Lumpur etc.